This post is sponsored by The Home Depot. I have been compensated for my time and provided with product. All ideas and opinions are my own. This post contains some affiliate links for your convenience. Click here to read my full disclosure policy. Back in April I was invited to attend an event in Atlanta hosted by The Home Depot called the Prospective. 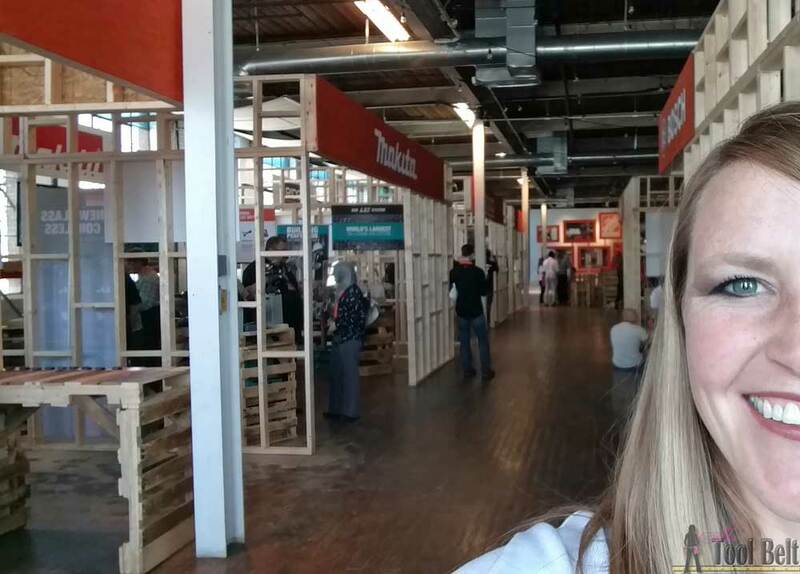 At the event a group of tool lovers, like myself, and media were shown the up and coming tools and tool technology being released this year by major tool brands. 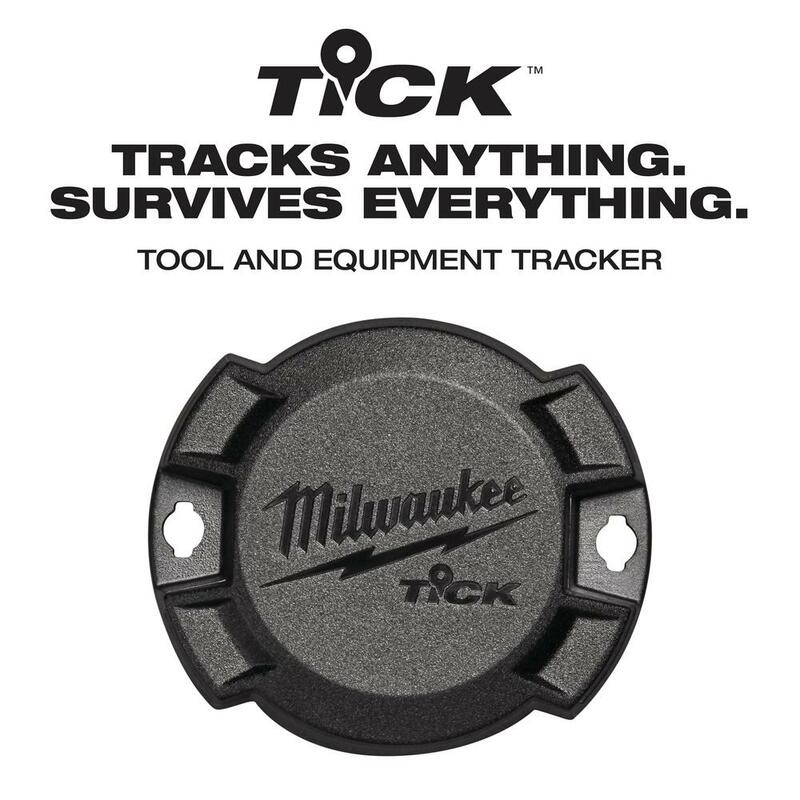 One accessory in the One-Key line up is the Milwaukee Tick tool and equipment tracker. 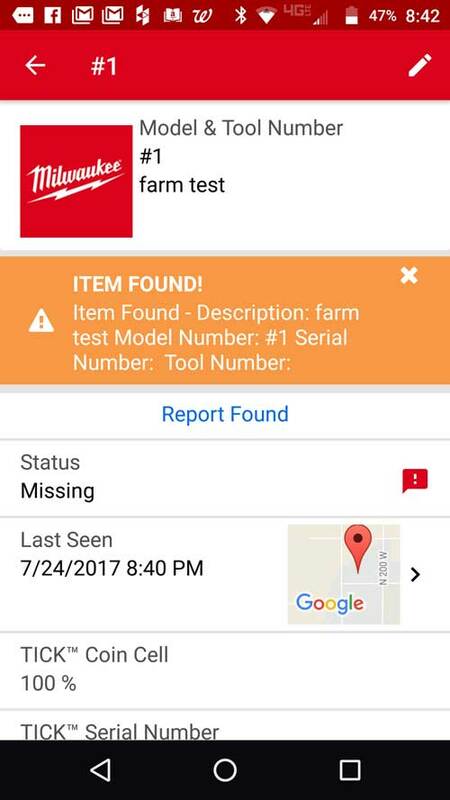 Before we get going, we need to establish that this product isn’t a GPS locator and it’s not really meant to find stolen tools/equipment. The Tick runs off of bluetooth and will only update if it comes into bluetooth signal range (about 100 feet) of a phone with the One-Key app installed and Running/Sleeping. It’s more for inventory control and seeing where tools/equipment were last located. The set up process was easy. 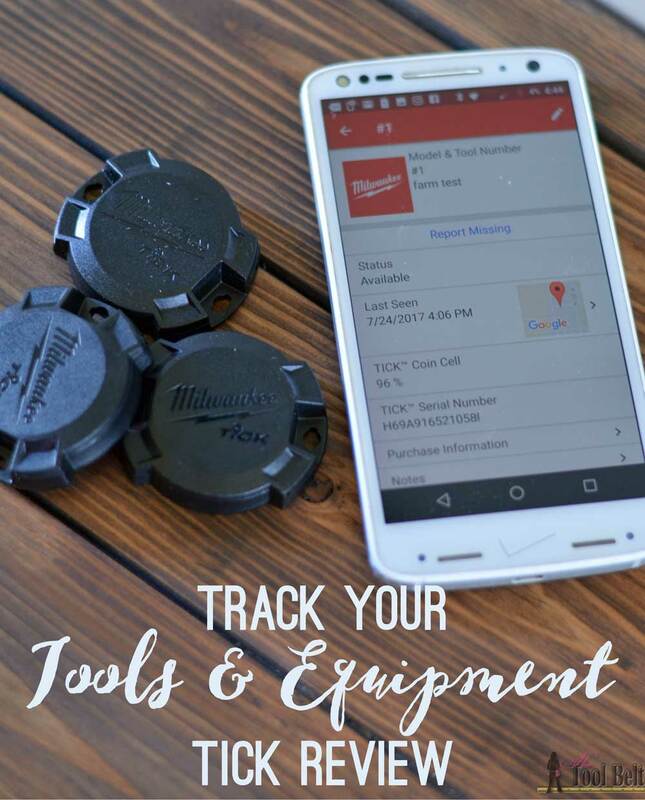 I installed the Milwaukee One-Key App from the playstore and set up my account. To add a Tick, I selected nearby devices, add a Tick, removed the battery from the Tick to be connected for 10 seconds, replaced the battery and put the tick by my phone. Once the phone and Tick have sync’d the tool picture, tool info, category, service information, etc can be recorded and saved. The batteries are said to last about 1 year and there is a battery life % shown on the tool status screen. Changing the battery is super easy, twist the top of the Tick to the left and pop out the CR2032 3V coin battery and replace with a new one. Once you’re connected to the Tick, then you can attach the Tick to any tool or equipment with epoxy glue, screws, cable ties, wire etc. First off we decided to test out the durability of the Tick in water. One of my minions stuck it in his pocket and his Mom forgot to check his pockets when she washed his pants, whoops. 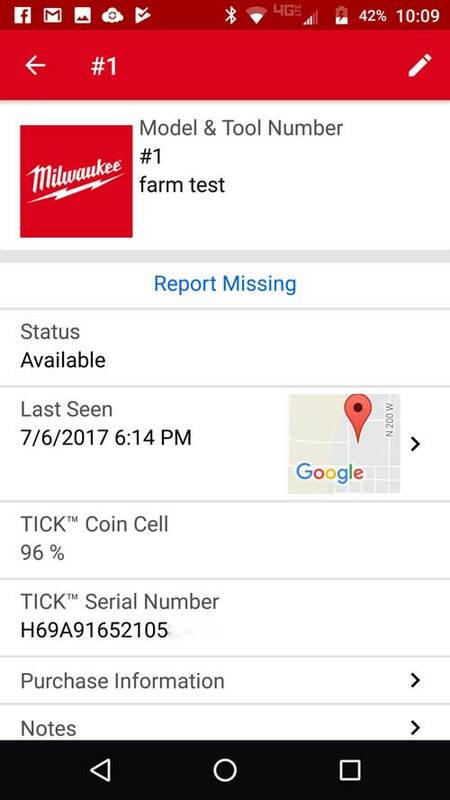 I had my Dad install the One-Key app on his phone and when he went near the Tick, it updated the time. After it updated, I clicked missing to see what would happen. He put the Tick in a vehicle with him and it updated again after he opened the One-Key app back up on his phone. The app alerted me that my missing item was found. 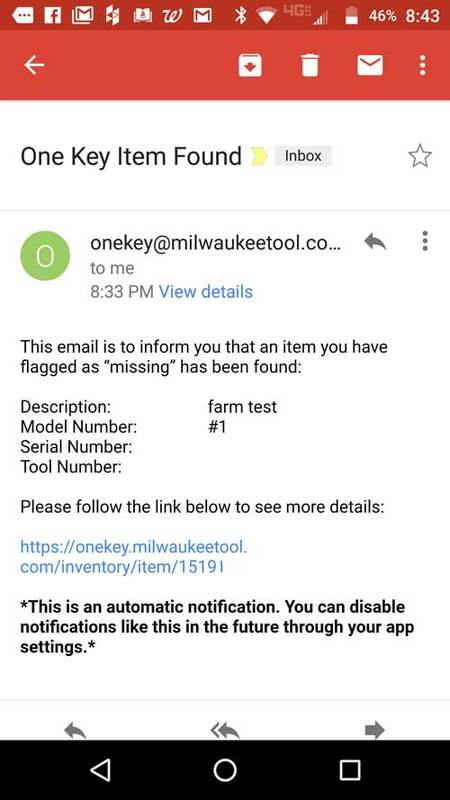 The app also sent me an email letting me know that it was found. The One-Key app uses Google Maps to show the location of the device. It will show you which house or building the device is located, but not where in the building. 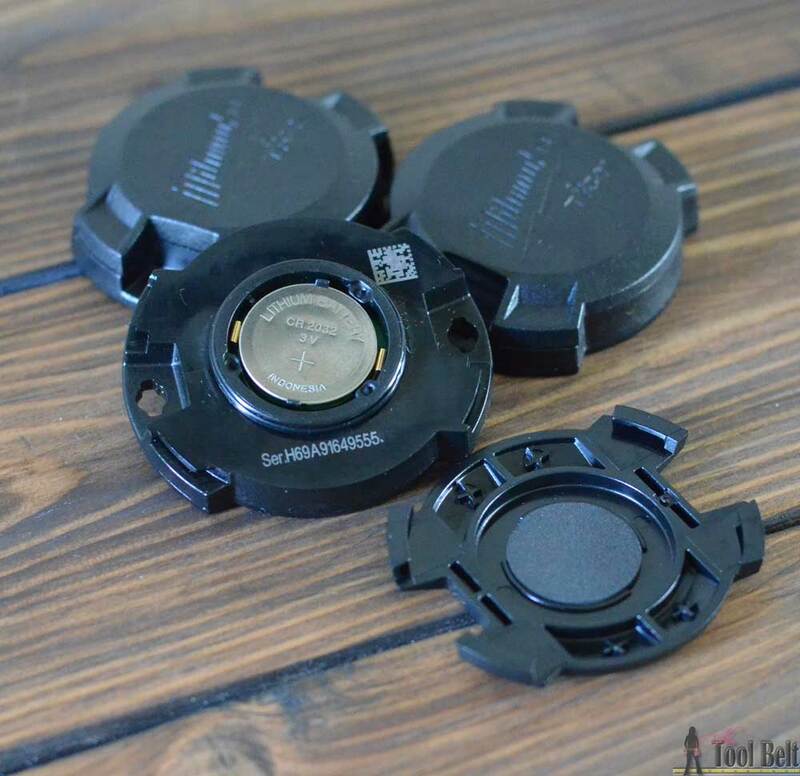 Attach with glue, screws or rivets to anything. Survives everything with weather, water, dust and impact protection. 1-year runtime with replaceable coin cell battery. Tracking powered by the ONE-KEY app. Over 100 ft. signal range. Location signal wakes up a sleeping or back-grounded app. 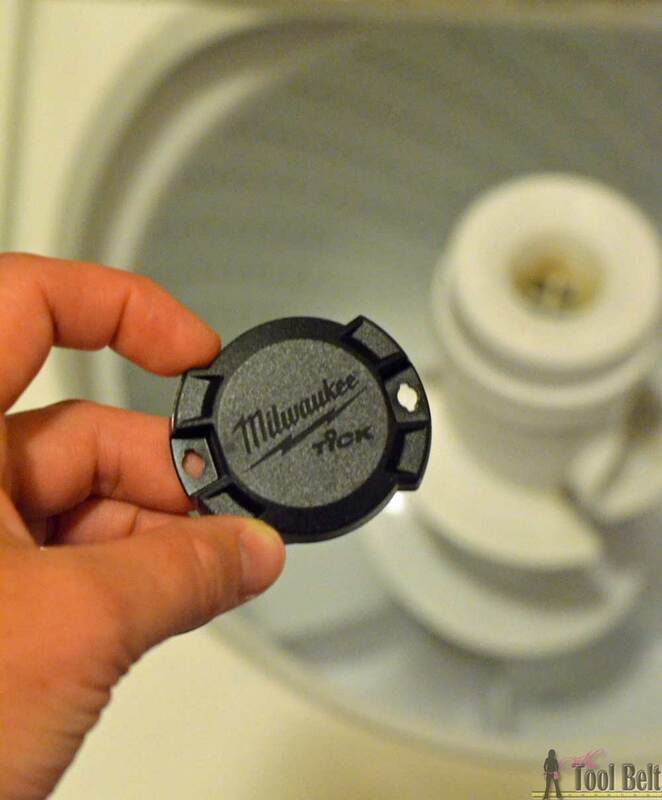 Who can benefit from the Milwaukee Tick tool and equipment tracker? In my opinion, the Tick will be most useful for people with large or multiple work sites (construction, farms, etc). It is a great tool for inventory control and equipment service information. The One-Key app is especially useful the more people around the work site that have the app on their phones. 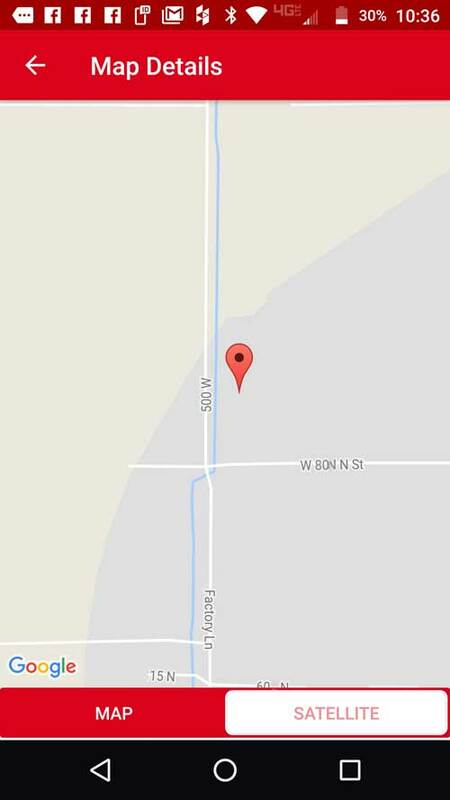 This can help keep the location information up to date and accurate. The Tick is neat technology and very useful if used in the right way. How would you use the Tick?